The reason that Facebook is so popular is because it connects us to people that we could have never been connected to before. 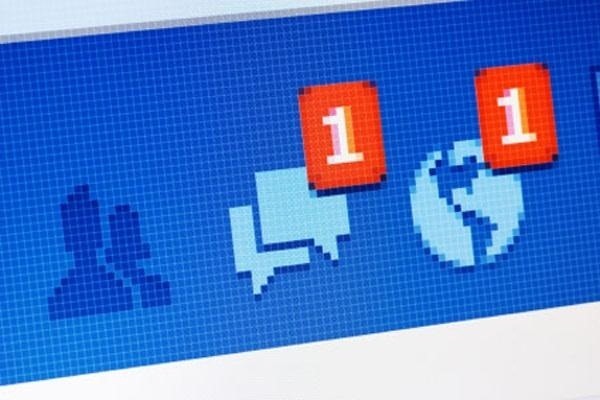 When people log on, they look for messages, comments, likes, and any other notifications that connect us to those people. These same notifications, though, distort our view of Facebook. We tend to appreciate statuses (I prefer stati) that have more likes. We're geared towards people that have more friends, so we tend to like pages that already have hundred of thousands of likes. This new browser add on by Ben Grosser clears away all the notifications and likes by taking away all o the numbers on Facebook. You no longer know how many people like a status or the amount of people that commented on it. The amount of friends that are online becomes invisible, as well as the likes that a page garners. When you start to care about likes and numbers, you may overlook certain things. People are so focused on likes and notifications that when they log on, all they do is check their notifications and log off right after. Facebook is about connection, but it has become narcissistic. With the numbers gone, you can appreciate Facebook and focus on truly connecting yourself with others without the lingering affects of other people's likes. You can truly appreciate Facebook without the popularity contest it contains. You never know when a status with 0 likes may give you something meaningful. You can download the Facebook Demetricator for practically any web browser. But still, if you think about it, it's a little odd coming from the same guy who brought us "Reload the Love", an extension that artificially inflates your Facebook notification icons whenever they are zero. Guess he got sick of his inflated social status.